I found that Walmart.com had a variety of 14 inch doll clothes for sale. Some of them are very obvious American Girl knock offs, which is kind of funny. 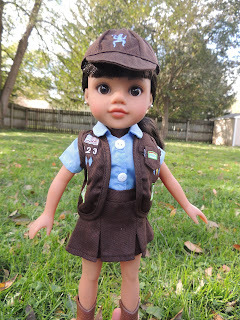 Anyway, I could not resist the 14 inch doll Brownie uniform. I looked at the Junior uniforms too, because I consider my Hearts for Hearts for be more of a Junior age level than Brownies. 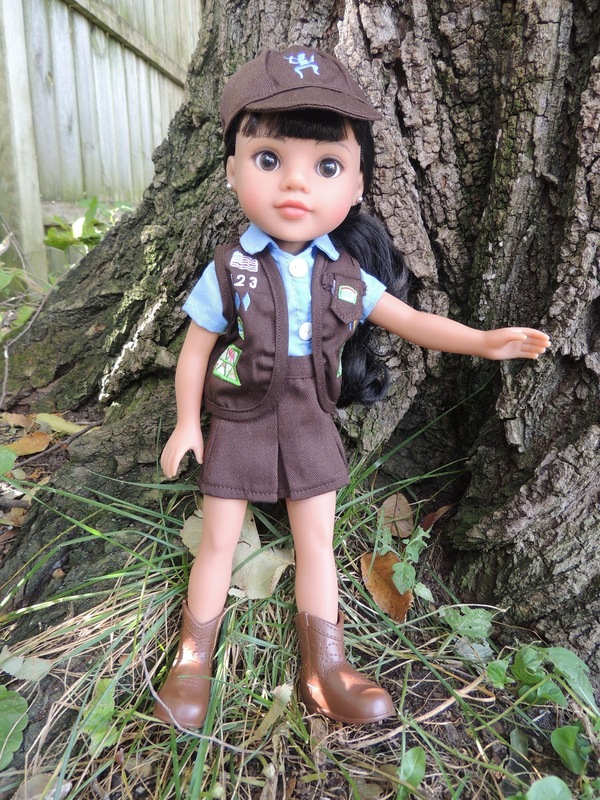 However, the Brownie uniform was somehow much cuter. Aaaand it's adorable. The patches are embroidered on for realism, and the whole thing is just so cute. 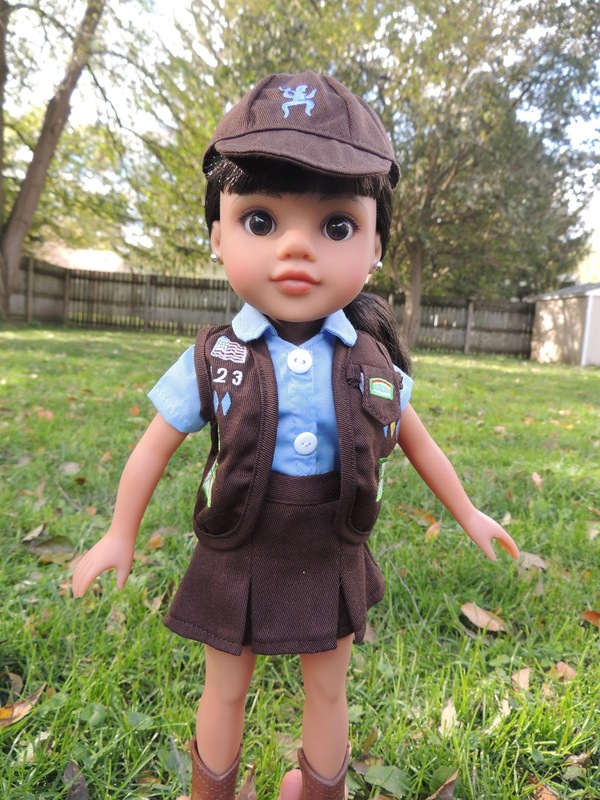 This is a more recent Brownie uniform than the one I had as a Girl Scout. I admit it is cuter. I would like to have a tiny version of the older Brownie uniform, just for nostalgia's sake. Anne posed with Mosi. Normally, I don't think that the scale of American Girl dolls works well with Hearts for Hearts. The size difference in the hands is huge. 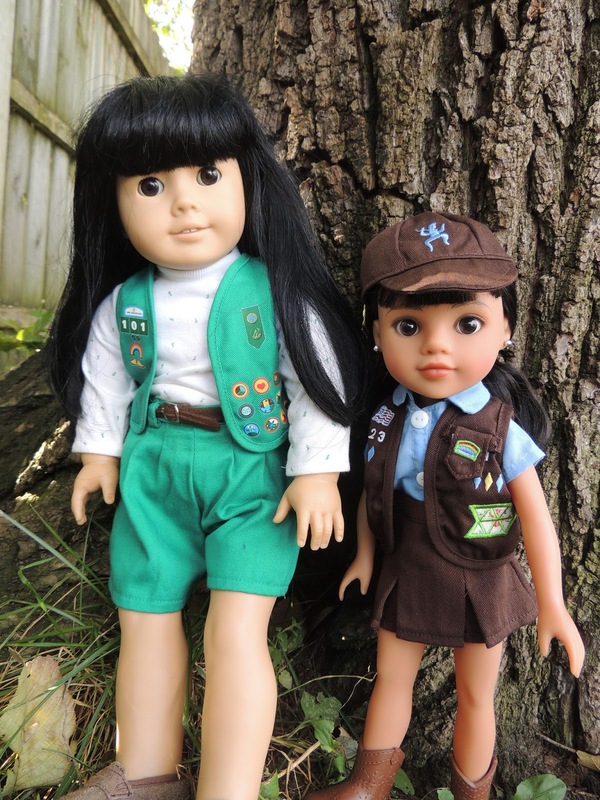 But the Girl Scout uniform adds a note of similarity that helps with the discrepancy in size. Mosi is kind of like a mini Anne, anyway, with brown eyes and black hair with bangs. Too cute. My doll sized Girl Scout collection is growing!